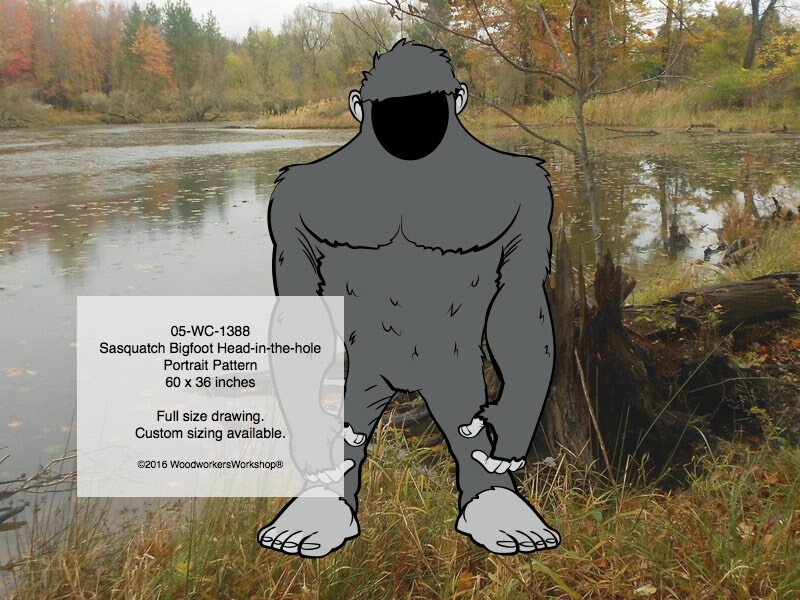 This Hallows Eve we celebrate the newest woodworking pattern to our online store, the Bigfoot/Sasquatch Head-in-the-hole Portrait pattern. This snowman didn’t take too long to come together, measures about 18 inches tall. 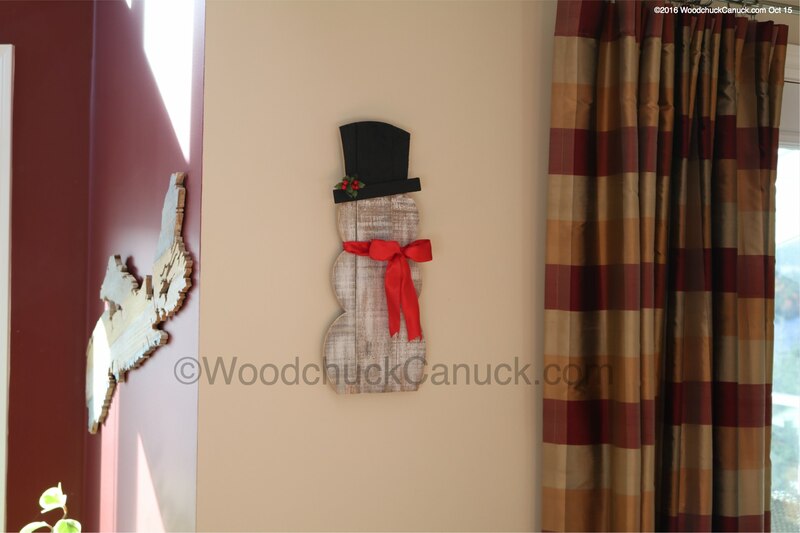 A bit of cutting, nailing and painting topped with a red ribbon and some holly, makes a great Christmas gift idea. We designed our Maritime Maple Leaf chair to be built from one sheet of 3/4 inch plywood. I decided to do this mostly to show that you can build a chair from a sheet of plywood, and be creative at the same time. 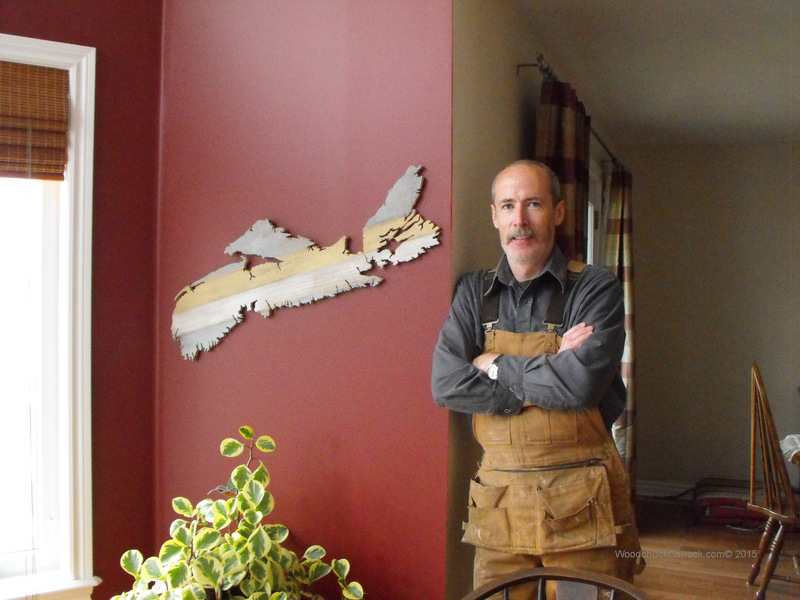 Gina had asked for a map of Nova Scotia cut out from boards and she wanted to make it from pallet boards. Easy? Well, yes and no. Yes, I have plenty of pallet boards in a stack out behind the workshop. No, I have never cut out a map of Nova Scotia before, or any other province for that matter. One way to know for sure is to try it and see what happens. Once she was done with the dry brushing technique, it was my turn. Zombie Yard Art – Grasp! We have about 50 new zombie yard art patterns in our store now, and a few more custom Halloween yard art projects coming soon. I figured I’d squeeze in some time to make one of these. So let’s start with the Zombie Grasp yard art pattern. The full size drawing to make your own is available here. A very nice lady by the name of Rhonda N. contacted me a few days ago. Her community in New Mexico is fund raising for local activities. They recently build a large yard art project of a 3-D sleigh and because of the local football team is – The Bears – they had this great idea of having the sled being pulled by a massive bear… 4 ft tall when standing on all fours. She seen some of the projects we sell and asked if we had such a woodworking plan. Well, I didn’t… but that’s not to say I couldn’t make one. A new breakaway hockey player design! Perfect size to display in the yard, on a wall, front porch or store window! Nearly life size at 61 inches tall, the player is on a break away! Numbers 0 to 9 are included so you can represent your favourite hockey player too. 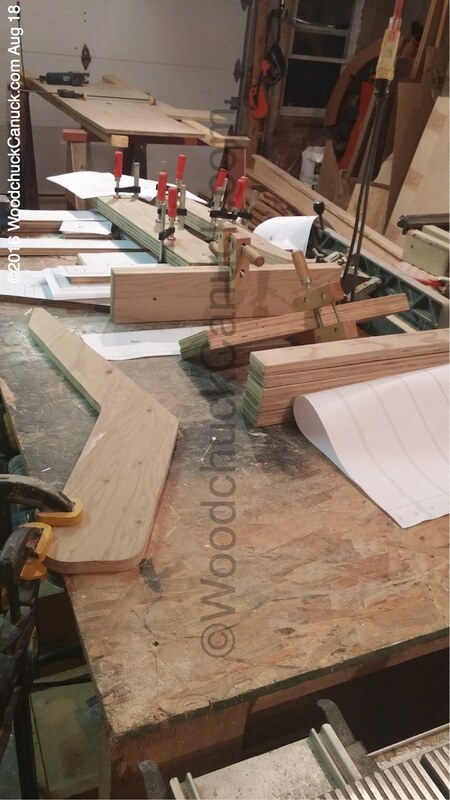 Simply trace the line art pattern onto your plywood and start cutting! We think we scored with this design! Mrs Pilgrim shares her bountiful basket of fruits and vegetables. Make your Thanksgiving yard are project in the size given or resize and print to whatever you need. Beginner skill level. Jack-Oh! glows behind that sinister toothed smile…just waiting for a new place to haunt! Make your Halloween yard are project in the size given or resize and print to whatever you need. Beginner skill level.